The Summer is passing too quickly, especially in terms of knitting projects. I have been seriously considering entering my stash of unfinished projects into the Guinness Book of World records for consideration. I really feel I have a shot to win. The other week I spent half the day in my craft room, just organizing the yarn stash. All I can say is that if I ever dare buy another ball of black yarn, my husband has permission to shoot me. 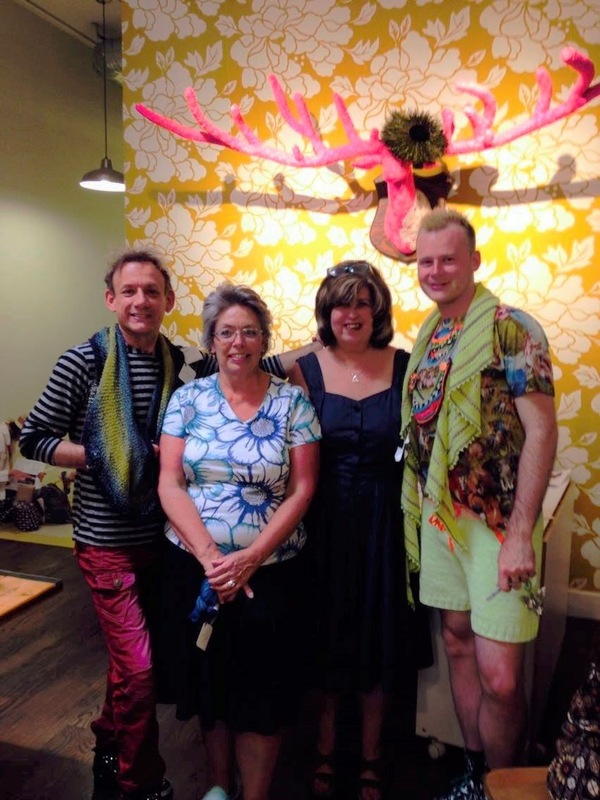 Earlier this Summer I went to a trunk show at Fancy Tiger Crafts to see the fabulous Stephen West and Steven Berg. both for myself and to sell. 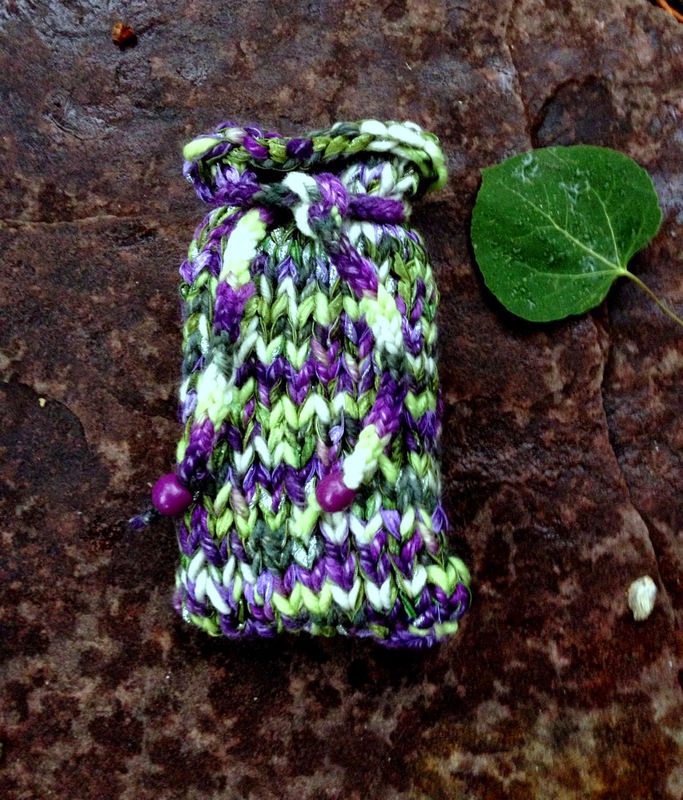 I have also been knitting lots and lots of tarot bags both for a special order I received, and for my Etsy store. OK so maybe now I don't feel nearly as bad about the dozens of unfinished projects I have. The one thing I am getting done are the squares that I work on for an ongoing charity project group I work with. I have a bag of yarn in my car and a square on the needles at all times. 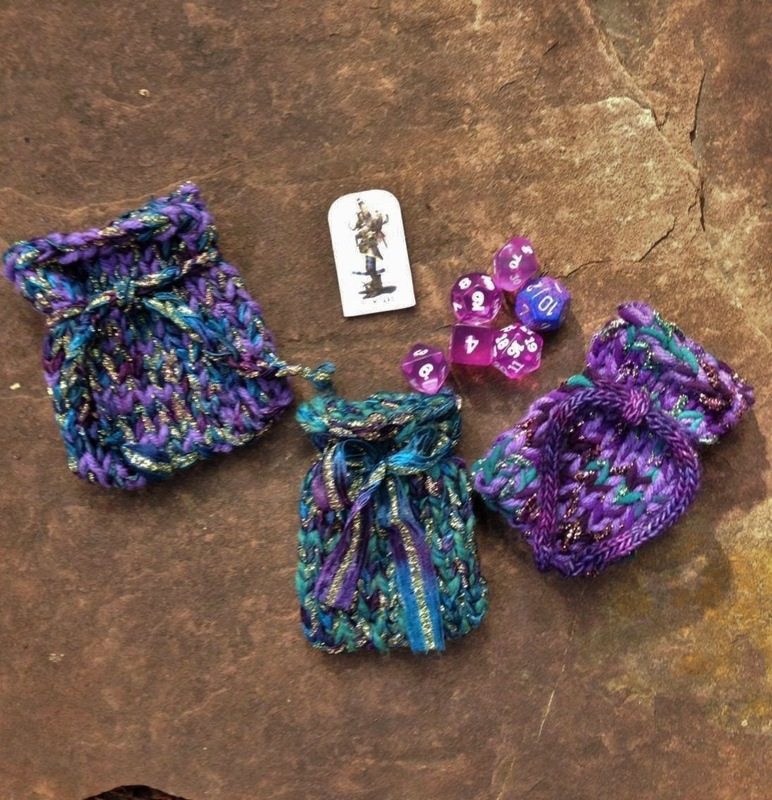 I have taken said yarn on hikes, overnight trips and whenever I am in the car. It takes the boredom out of being a passenger. Our group is now doing some youth size blankets in addition to the regular size blankets. I found out the other day that the youth size blanket will be 20 squares so I now have focus and plan to wait until I have 20 done (all nicely color coordinated) and pack them up and drop them off complete with finishing yarn and a picture for the assembly team. While the knitting has been sitting in bags, I have been getting a nice bit of sewing done thanks to my embroidery machine and some great designs that are out there. I have started embellishing handkerchiefs. My goal is to single handedly bring back the handkerchief industry. I figure my Etsy store is the perfect place to start. Handkerchiefs, are after all, very earth friendly and at the very least make good costume accessories and if nothing else are a good conversation piece. I tea stain white handkerchiefs to give them a vintage feel and take the glare of stark white away. You know, I have always hated ironing so it was only natural for me to take up sewing.